The reality that hidden biases abound in the screening process is well documented, but few companies realize just how pervasive the problem can be. A growing body of research shows we make a bunch of snap judgments starting just with people’s names–and continue from there. One widely cited study found that candidates with white-sounding names but otherwise identical résumés were 50% more likely to be called in for an interview. Similar studies of résumés have uncovered significant gender bias favoring men, in such disparate fields as science and music. Some level of screening is vital to most companies, but even low-tech solutions can make a big difference. Simply having administrators black out candidates’ names and addresses before they’re reviewed by hiring managers is one surprisingly effective, easy place to start. Even if our snap judgments don’t typically fall along race or gender lines, we can make other assumptions about them that can be just as damaging–for instance, based on where someone went to school, the companies they’ve worked for, or even the places they’re from. Strong performers come in all stripes and don’t share common backgrounds. It’s tempting to hire candidates who can solve your immediate needs. After all, we want employees to be productive right out of the gates. Want to build a project around product name recognition and customer loyalty? Hire that all-star marketing Ph.D. who wrote a dissertation on brand recognition. Need to start marketing to small and midsize companies in the Midwest? Hire an advertising professional who’s worked with those sorts of accounts for a decade. But the trouble comes when the business needs to change. What happens when we realize that customer service, not branding, drives customer loyalty? What happens when the target customer base moves from the Midwest to the Northeast–or overseas? Don’t be myopic in your hiring process. The smartest and most nimble managers look for smart, well-rounded thinkers who can adapt to rapidly evolving business needs. That way, when the problems change–and they will–the company won’t be weighed down by highly specialized experts in the wrong fields. Résumés can provide a quick summary of a candidate’s qualifications. As a result, they’re a useful shorthand for HR professionals–who in most cases don’t have the same domain expertise as hiring managers–to quickly filter candidates. In many cases, that works just fine. But the shortcomings are getting more apparent the more quickly companies change and come to terms with the reality of unconscious bias. Ultimately, there’s no substitute for experience and judgment, and digging deeper means first getting over our reliance on buzzwords. Michael Li is the founder of The Data Incubator, an elite fellowship program that trains and places data scientists and quants with advanced degrees into industry roles. 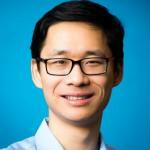 He formerly served as a data science lead with Foursquare and with Andreessen Horowitz.